Everybody knows that texting and driving at the same time is never a good idea, but that doesn’t mean that we should allow big brother government to ride in the passenger seat with us to make sure we’re not doing it. Yet according to a recent report published earlier this month, that’s exactly what we may soon be forced to accept. Researchers at the University of Waterloo have developed a computer algorithm that is capable of detecting when a driver is texting, checking email, or engaged in some other type of distracting activity. 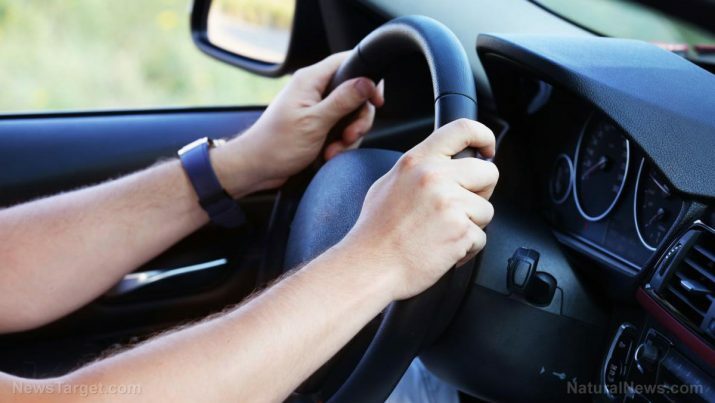 The seriousness of the driver’s actions is largely based on factors such as duration, which can also be measured due to the machine-learning techniques that were used to create the algorithms. “The car could actually take over driving if there was imminent danger, even for a short while, in order to avoid crashes,” explained Fakhri Karray, a University Research Chair and director of the Center for Pattern Analysis and Machine Intelligence (CPAMI) at Waterloo. Karray went on to argue that the continued development of this sort of safe driving technology “had a huge impact on society,” considering that an estimated 75 percent of all traffic accidents worldwide are the result of distracted drivers. But like with most other technological developments, a system that can detect when a driver is texting or talking on the cellphone doesn’t come without its fair share of flaws. For example, what if the driver needed to make an urgent phone call while on the road that was a matter of life or death? Would the car suddenly go into alert mode and somehow try to get the driver to put the phone down? At the very least, it appears as though there are many quirks that still need to be worked out before this technology should be used while driving out on the highway. Furthermore, there is also the very real possibility that the computer algorithms would somehow record the data of drivers and then sell it to businesses and corporations that could use it to their advantage. If a new piece of technology has the ability to determine when drivers are texting or talking on their cellphone, is it really that far of a stretch to assume that those actions could also be documented and thrown into some kind of database? At times, it seems as though the United States is incapable of making significant technological advancements without simultaneously turning our country into the fictional setting created by George Orwell in his famous book 1984. We are supposed to be a nation that respects the rights of the individual, and constantly reminds ourselves of just how valuable liberty really is. Instead, we seem to be pushing all of that aside in exchange for the latest hi-tech gadgets and state-of-the-art devices. And just like the First Amendment and the Second Amendment, if the Fourth Amendment goes, the rest of the Constitution will inevitably follow.